The term "Handpan" is a generic term that is used to describe a group of steelpan instruments. 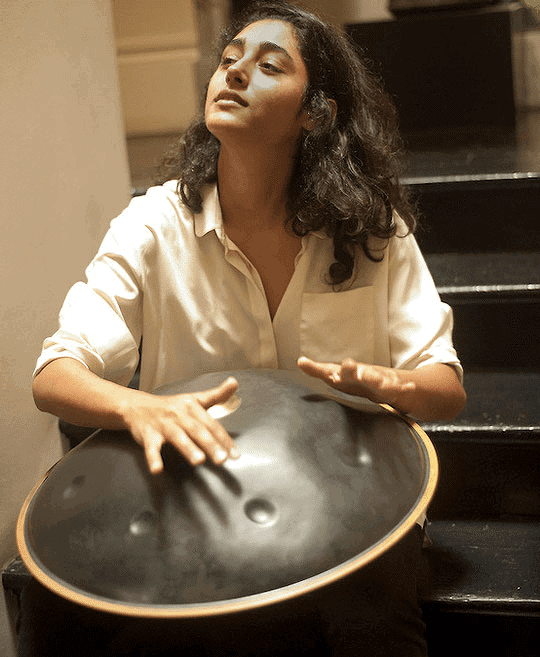 It applies to all instruments that are inspired by the design of the very first Handpan, the Hang. The Hang was the instrument that started it all, you can read more about the PANArt Hang and its history here. This group of instruments have numerous names, and there's controversy surrounding most of these names. It's known most commonly online as the "Hang Drum", however it's also known as "Steel Pan", "Halo", "Bells", "Tank Drum", "Hank Drum", and of course, "Hand Pan". The expression "Handpan" first appeared back in 2007 on an American steel pan manufacturers website, Pantheon Steel, who created their own alternative to PANArt's Hang. The original inventors of the very first Hand Pan ( Felix Rohner and Sabina from PANArt) do not approve of the use of the term Hang Drum. "To state it clearly and precisely: we do not make percussion instruments, handpans or hang drums." PANArt also do not currently produce the Hang anymore either. Although they do still create instruments similar to the Hang. Check out their website here. So what are we to call this beautifully sounding idiophone? We need a generic term! This instrument has grown into something of its own. It needs a generic name, in my opinion. We can't go around referring to it as "that hang-like instrument" or simply "idiophone". Think about it, it's an instrument that you play with your hands and was inspired by steelpans, not to mention the company that created the instrument is named PANArt. The most appropriate name for the instrument is hand pan.